On Saturday 12 October around 80 of our members turned out to hear a talk by Dr Sandie Byrne of the University of Oxford Department for Continuing Education. It was the second time Sandie had addressed our group - but the first time that a speaker had considered the works of Jane Austen alongside the Brontës’. 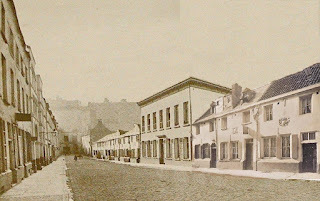 Below are a couple of reports by two members who attended the event. Given the title of Dr.Sandie Byrne’s talk to the Brussels Brontë group on October 12, many of us die-hard Brontëans were looking forward to a classic confrontation with home-town favorite Charlotte coming out on top of her Chawton challenger. But Dr. Byrne, from the Oxford University Department for Continuing Education, wrong-footed us right from the start in her talk ‘The passions are perfectly unknown to her’ - Jane Austen, Charlotte Brontë and romantic fiction. 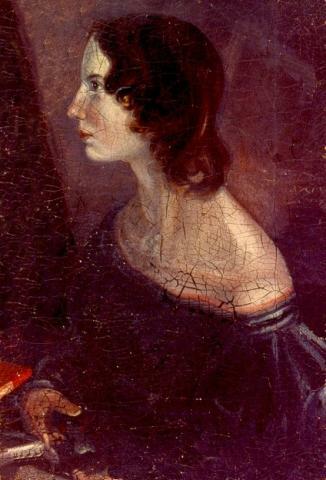 Taking Charlotte Brontë's 1850 criticism of Jane Austen as a jumping-off point, Dr. Byrne compared the portrayal of passion and romance in the works of both authors. But she began by citing the scene in Austen's Persuasion when Anne Elliott sees Captain Wentworth for the first time in eight years. ‘There is passion there!’ Dr. Byrne said. She then catalogued some of the perceived differences between Charlotte Brontë and Jane Austen where romance, romances and Romanticism are concerned. Austen's novels are often thought of as romance or ‘chick-lit,’ Dr. Byrne said, while Charlotte Brontë is considered more serious. But the reality, as so often is the case, lies somewhere in the middle. Austen's novels are about survival as much as they are about love, showing women's plight, the fact that women have few options besides marriage, Dr. Byrne said. 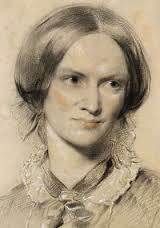 In Charlotte Brontë's works, women demand equality but also delight in having a master. Brontë's women demand passion; in Jane Austen, women don't demand passion, but Austen indicates it, Dr. Byrne said, as in the scene she cited from Persuasion. To demonstrate both the passion and romance in Charlotte's work, Dr. Byrne read out the famous ‘equal, - as we are’ scene from Jane Eyre. ‘That's about as romantic as you can get -- with both upper-case and lower-case R,’ Byrne said. But Brontë’s heroines balance the desire for independence with an opposing wish for dependence, juxtaposing an aspiration for equality with a desire for a controller, Dr. Byrne said. To help demonstrate, she read parts of Shirley Keeldar's conversation with Robert Moore in Shirley - with the label ‘leopardess’ playing on this complicated dual desire. Dr. Byrne pointed out the ‘kind of inverted hierarchy’ in this scene and compared it to the scene in Emma where Mr. Knightley wants Emma to marry him. Jane Austen was influenced by Augustan poetry, whereas the Brontës were influenced by Romanticism, she pointed out. We classify Austen under Realism, while the Brontës’ works contain more elements of Gothic and the Romantic, including the ‘suffering Great Soul’; a brooding man with a past; the quest for self-fulfillment and the creative power of the imagination. 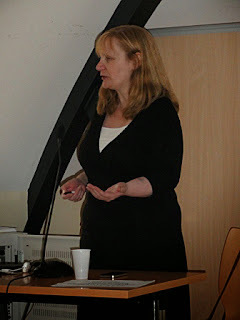 On 12 October members of the Brussels Brontë Group gathered at the Université Saint-Louis, where Dr Sandie Byrne of Oxford University gave a talk on the romantic elements in the works of Jane Austen and Charlotte Brontë. Charlotte Brontë suggested Austen’s work lacked poetry and sentiment, Sandie told the group. But does this mean that there is no passion or romance in her work? Jane Eyre and Elizabeth Bennett were both characters full of passion and seeking equality, we learned. Both give speeches to their male counterparts in this vein. But, Sandie remarked that the equality or emancipation that Jane gains at the end of Brontë’s novel is only gained through Rochester’s loss of sight and arguably, his emasculation. This theme of emancipation and “the self” gives both novels Romantic elements, Sandie told us. Adding to this point, in Austen’s novels her characters have “everyday love,” they are just very nice to one another. By contrast Cathy and Heathcliff are eternally connected and go mad without one another. However, Sandie noted that true to her realist roots, Austen uses the Gothic for ironic purposes – as seen throughout 'Northanger Abbey'. By contrast, Brontë is anything but ironic when Jane is locked in the red room and haunted by her Uncle. It was a truly enjoyable afternoon full of fruitful discussion and debate on the comparisons that can be drawn from the works of both novelists, to whose work we all enjoy to return time and again. As Sandie said, they are both so much more than romances.